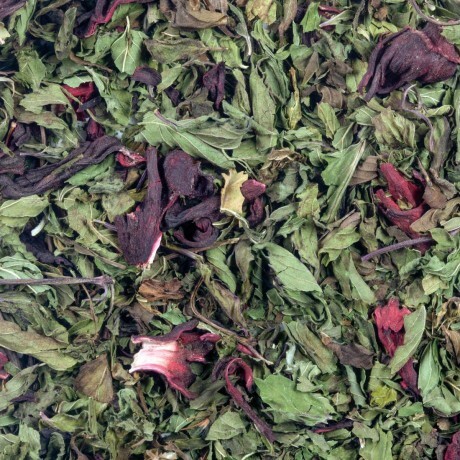 Whole Leaf Moroccan Mint - aromatic & vibrant. Awakening, refreshing & invigorating! Hibiscus Flower - bitter sweet, tart ruby red hibiscus is anti-oxidant & contains vitamin C.